*Project Underway* Think Debating Skills Are Important for Kids? Help the NYC Urban Debate League! The NYC Urban Debate League wants assistance in mapping out a sustainable growth strategy for its rapidly expanding debate programs in NYC. 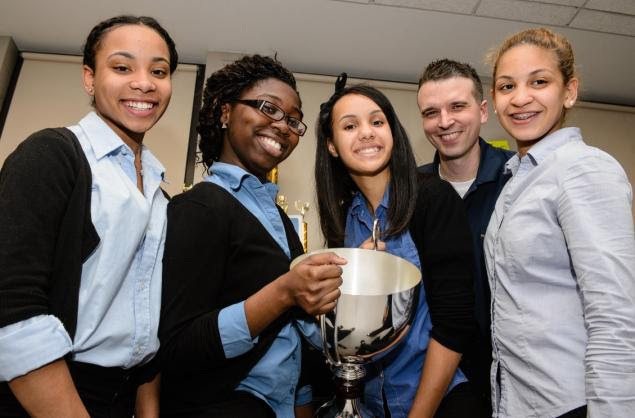 NYC Urban Debate League’s (NYCUDL) mission is to provide every NYC student with access to debate education opportunities through debate teams at all city schools. Debate teaches a broad range of academic skills including reading, writing, researching, public speaking, and critical thinking, and touches all academic subjects. The NYCYUDL now serves only a fraction of City schools and students. only a small fraction of NYC students and has tremendous opportunities for growth. The objective of the project is to develop an actionable growth plan based on an evaluation of alternative growth strategies. Options will be evaluated against a robust set of criteria including fit with NYC Urban Debate League mission and goals, quality of programs, resource utilization per participant, etc. Of special appeal to alums interested in academic approaches to the development of critical thinking skills. Kick-off meeting to be scheduled for late October. Time commitment approximately 10-15 hours per month for 3-4 months. Questions? Contact Project Coordinators: Charley Beever, MBA 1978, charley.beever@gmail.com; Jessica Ziegler, MBA 1984, jziegler16@gmail.com.